Window treatments can be both functional and aesthetic. They control light and also add color, texture, and interest to a room. When you look at the selection in the Hunter Douglas line of window products, you’ll see that the possibilities are nearly endless. To sort through all of the options, talk to a trained consultant at Treasure Coast Window Fashions here in the West and North Palm Beach areas. We’ll be happy to help you find the right product for your needs. Especially in “open concept” floor plans, controlling light throughout the space is important. 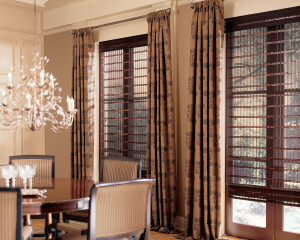 The fabric on a window treatment plays a big part in controlling light, and so does how the blind or shade operates. For instance, it can work from the bottom up only—the traditional way. Or it can be from the top down only, which is a great style for bathrooms or first-floor windows that face heavy traffic. Or you could go with top-down/bottom-up functionality, which meets all privacy needs while giving access to natural light. Hunter Douglas also offers its Duolite option. This feature offers maximum light control and is two shades in one. For example, the top shade is made out of a sheer fabric, and the bottom shade is made out of a semi-opaque or blackout fabric. When the top shade is down, the light is filtered. When the bottom shade is raised up, you have room darkening. The Hunter Douglas PowerView option gives you the ability to set the right mood, morning, noon, and night. 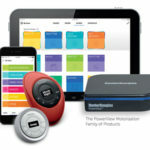 All you have to do is program PowerView app on your smartphone or tablet to move your blinds or shades to the exact position you want – even when you are away. You can find the above operating features on most Hunter Douglas window treatments such as Silhouette® Privacy Sheers, Applause® and Duette® Honeycomb Shades, Pirouette® Window Shadings, Vignette® Modern Roman Shades, and more. No matter which product you choose, remember, while the style, color, and texture of your window treatment will add interest, so will how the light is controlled when it enters the room. Treasure Coast Window Fashions provides more than just the finest window coverings. Our owners are involved in every project from start to finish to ensure your window covering project exceeds your expectations. We’re proud to serve the greater West and North Palm Beach areas including including Belle Glade, Okeechobee and Hutchinson Island. Please contact us at 772-220-8870 or visit our showroom in Stuart, FL, for more information about our products and services. Contact us to learn more.